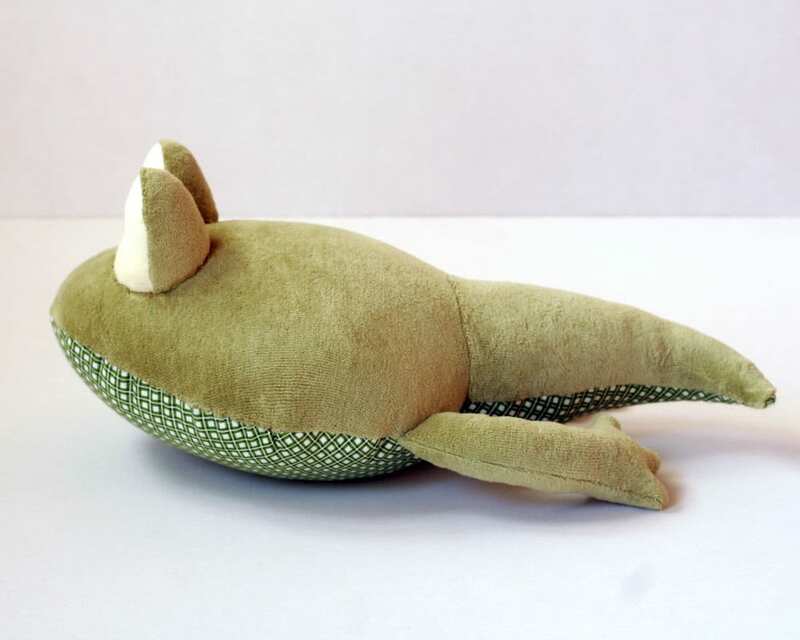 Handmade, stuffed Tadpole. There are two variations - a girlie with a red polka dotted bow on her head and a boy. The Tadpoles are 14" (34 cm) long and 8" (18 cm) wide at head. 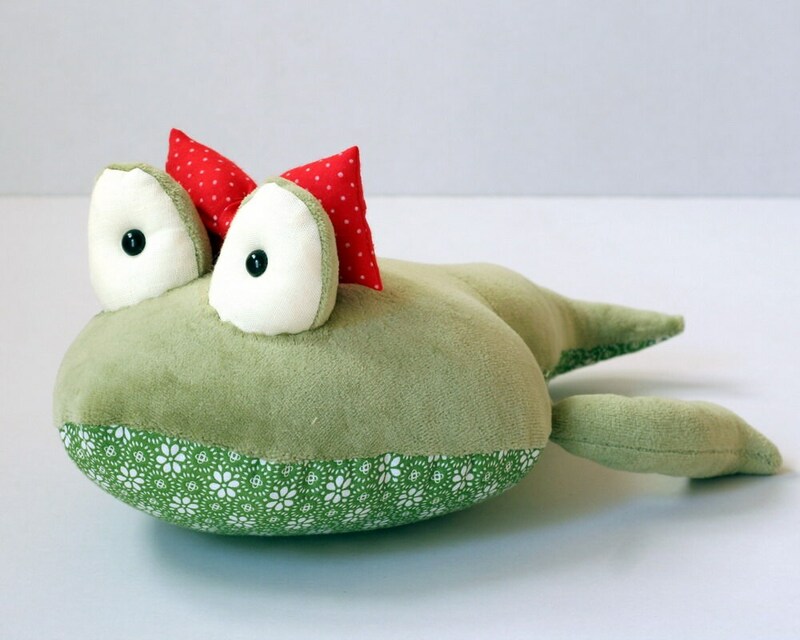 Tadpoles are made of soft plush and green canvas at the belly. It's my own design. 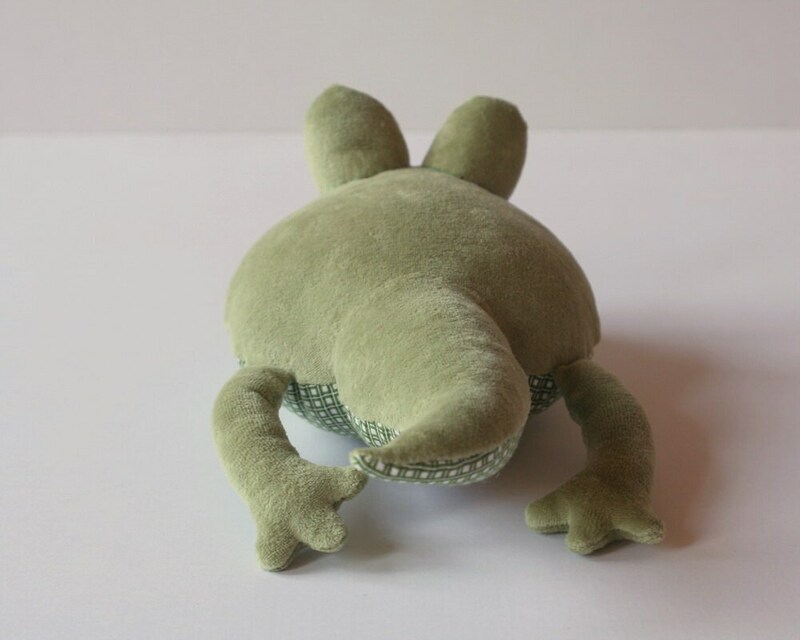 Made of soft plush, stuffed with polyfill. The eyes are buttons. 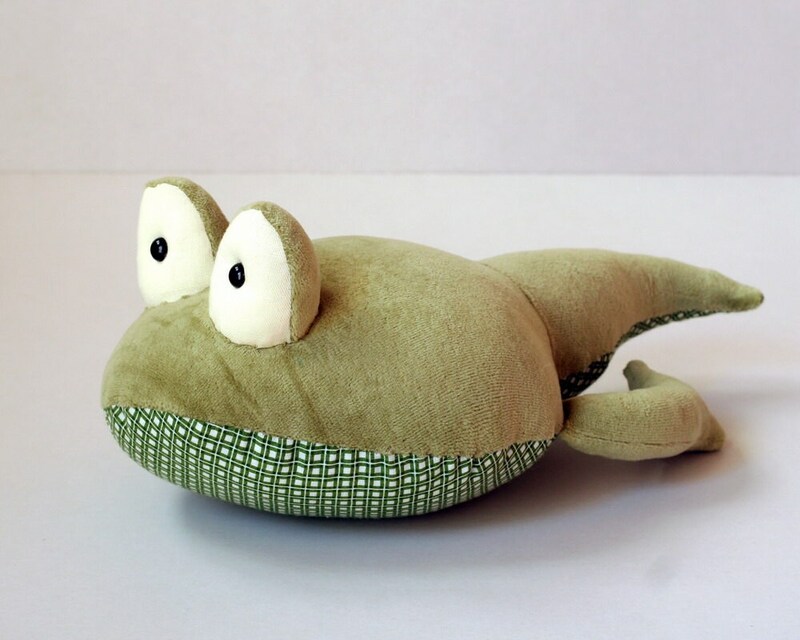 If you would like to order this Tadpole for a baby and worry about the buttons, please let me know. I can make it with embroidered eyes, too. Well made, VERY cute! I highly recommend this item! If you need it for a special occasion and live in the US, I recommend giving it at least 6 weeks advance. It took a month from shipping date to receive it, at no fault of the seller; it is just coming a long way. Oh my goodness!!! 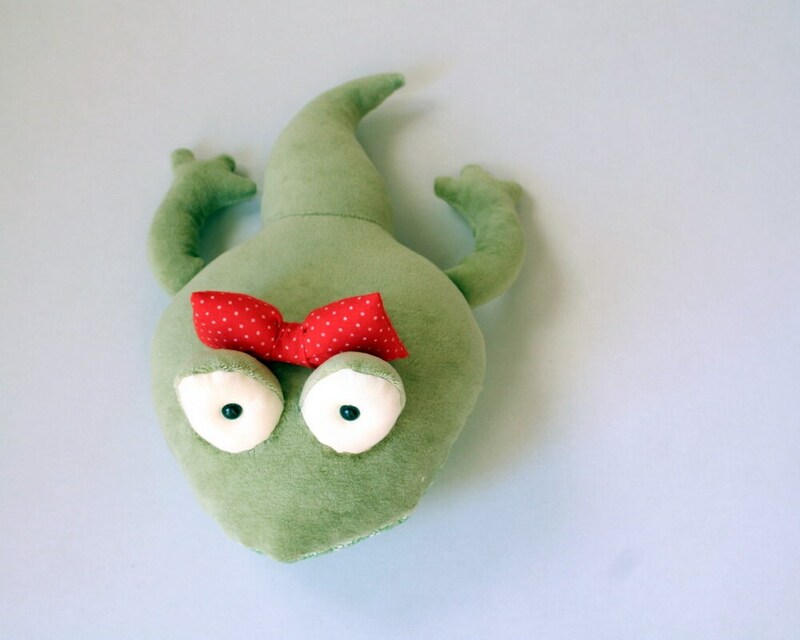 This is the cutest tadpole EVER!! Well made and perfect! Thank you so much!! Absolutely awesome! Great communication and very nice seller kindness! !